I've tried to stay out of the Shirley Sherrod story. I see it as one of those things so ridiculous that the overwhelming majority of people would understand why Sherrod's statements were not racist and why the Obama administration was wrong for firing her. 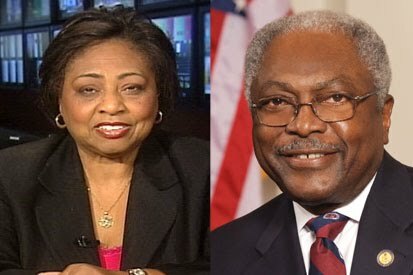 But groups like the Tea Party and the NAACP (the latter of which initially called Sherrod racist themselves) felt that the most productive thing to do was to call each other racists, and now elected officials are putting their two cents in when the piggy bank of inanity is already overflowing. I don’t think a single black person was consulted before Shirley Sherrod was fired — I mean c’mon. The president’s getting hurt real bad. He needs some black people around him. There are just so many things fundamentally wrong with this statement. I thought that by 2010 we would, in the immortal words of Martin Luther King, Jr., judge folks by the content of their character and not their melanin levels. Obama does not need more black people around him, he needs less reactionary people around him. All it would have taken to avoid this debacle was to take the 45 minutes to watch the entire video to realize how stupid it would be to fire Sherrod for telling a story of how she matured beyond racial prejudices and realized that it boils down to socio-economics more than race. Obama has disappointed many people in many ways, myself included. One arena, however, that a) I don't even care about and b) is so inconsequential and unimportant is the number of black people consulting with the president on a daily basis. I don't care what color they are as long as they're smart and make good decisions. The Sherrod case highlights the fact that, at least in the group that made the decision to fire her, these types of people are lacking within the administration. I expect reactionary journalism and scare tactics from desperate cable news organizations and groups like the Tea Party, but to see it permeate all the way to the Oval Office is, in a word, disheartening. Facts and patience are called for in these situations, not knee-jerk responses, no matter what color you are.